Create a special space for you to practice meditation. Meditation is a tool you can practice daily to help to bring about positive changes in your life. Meditation can help you combat stress, feel happier, experience more peace, and be more present. When you start meditating, you will learn just how active the mind is and that it takes practice to quiet the mind. Be easy on yourself and recognize that practicing meditation takes time to learn. Be patient with yourself and in time you will find that meditation will bring you clarity and a greater sense of peace. 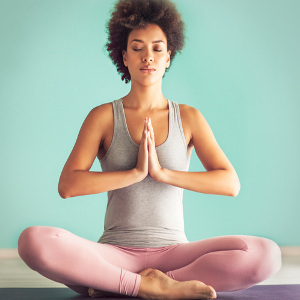 Here are some simple tips on how to improve your meditation practices. Try these tips and as you practice meditating, you will find what works best for you. Pay attention to your breathing to settle into meditation. There is no need to regulate your breathing; just focus on it and let it happen naturally. If you find you are experiencing rapid thoughts or strong emotions while meditating, let the thoughts and feelings flow and continue to focus on your breathing. Acknowledge their presence and then allow them to leave, while you keep your attention on your breathing and learn to stay present. Meditation is about focusing all of your attention on a single purpose. Starting with focusing on your breathing is a great place to start, but to stick to meditating in the long-term, recognize that focusing your attention on a single point is hard work. Engage in your meditation with a purpose, and notice you may experience frustration, but when you do, just breathe, let it go, and continue to focus purposefully! Connecting with an online psychic is another great way to find a purpose for you to focus on. There are no rules when it comes to meditating. Find what best works for you by experimenting with different approaches. Try sitting, lying down, keeping your eyes open, keeping them closed, sitting with your legs crossed or sitting with them under you. Meditate in whatever way you feel most comfortable. Create a special place to sit when you practice meditation. Follow the principles of feng shui when designing your space. According to feng shui, your home mirrors what is happening inside of you. Create a space that allows the energy to flow freely and is an inviting space for you to focus on your daily meditation and relax. Consider discussing your ideas with a live psychic for more advice. Most importantly, it's important to enjoy meditation. Start sitting for a short, manageable amount of time, such as five or ten minutes, and slowly work your way up to sitting for longer periods of time. It might help to set aside a time each day for meditation. Be kind to yourself, know that meditation takes time, and allow yourself to smile. Meditation can help you calm your soul and ease your mind. Follow these tips to improve your meditation practice and find more happiness along the way. With a little practice, you will find that you're well on your way to achieving that inner peace.